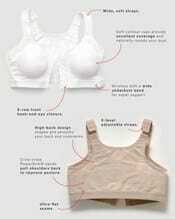 This incredible bra gives you back support. It features criss-cross PowerSlim® bands to improve your posture. Ultra-soft seams let you move freely and stay comfortable no matter what. 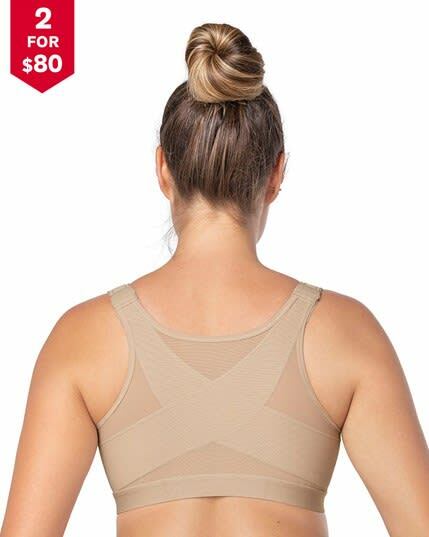 This bra’s wide elastic underbust band gives you the support you need to work out, play your favorite sports, or do any other activities. 2-level, 6-row adjustable front hook-and-eye closure for easy wear and a great fit. This bra’s straps make conventional straps a thing of the past. These are soft, wide, padded, and 3-level adjustable. 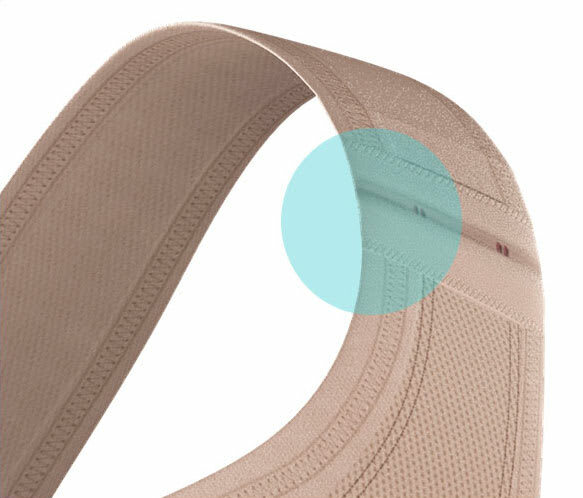 Criss-cross PowerSlim® bands provide back support and all-day protection. Made with fabric that allows better airflow for total comfort and freshness. Double-layered DuraFit® cups gently compress the bust while giving it a naturally rounded shape. Smoothing coverage under arms and on back streamlines your silhouette. Criss-cross PowerSlim® bands provide back support to improve posture. Perfect for post-surgical wear: Compresses and supports bust, fits perfectly, and features a front closure for easy wear. Our trademark PowerSlim® fabric provides firm compression and super support while the high-coverage underarm design streamlines your silhouette. Double-layered DuraFit®: cups for a comfortable fit. This supportive wireless bra gives you excellent coverage, compressing your bust and giving it a naturally rounded shape. 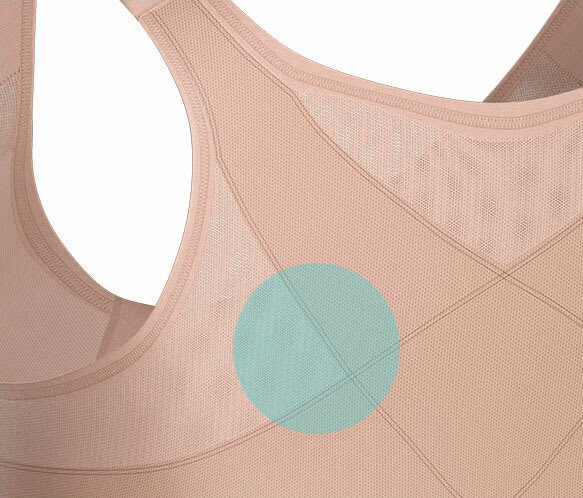 Wireless, with a supportive underbust band for all-day, everyday support. Comfortable design: Padded, 3-level adjustable straps for super support, without digging into your shoulders. Perfect fit: 6-row, 2-level adjustable front hook closure for easy wear and a perfect fit. This flat closure won’t show under your clothes. Fabric content: 90% polyamide, 10% elastane. Interior lining: 91% polyamide, 9% elastane. One day is composed of many different moments. That’s why we made this incredible multifunctional bra just for you. This bra is versatile, making it truly perfect for every moment.